The Morgan affair is an event that had a significant impact on American politics and Freemasonry in the United States of America for many years after. The Morgan affair begins with William Morgan. Morgan was a captain during the War of 1812. After the war, Morgan, who was in his 40's married 19 year old Lucinda Pendelton in Richmond Virginia. The couple had two children. After the birth of his children, Morgan moved his family to York, Upper Canada where he started a brewery. When the brewery burned down, Morgan, and his family, were left in poverty. After the fire at his brewery, Morgan moved his family first to Rochester, New York. There Morgan allegedly became a member of the local Masonic Lodge, Wells Lodge No. 282. It should be noted that there is no written evidence of any kind that Morgan was raised in that lodge, in fact it is questioned whether Morgan ever really went through the three degrees of Freemasonry. There is written documentation that Morgan received the Royal Arch Degrees (York Rite), and joined Western Star Chapter R.A.M. No. 33 of LeRoy, New York. To receive the Royal Arch degrees a person must have received the first three degrees of Freemasonry. It is believed that Morgan convinced a friend and employer to vouch for him rather than to go through the proper process of verifying Morgan's membership in a masonic lodge. After receiving the Royal Arch Degrees in 1825, Morgan became well known in Freemasonry in New York. He would give speeches about Freemasonry, volunteered to help in degree work and helped to start several Royal Arch Chapters. One of the chapters he helped start was in Batavia, New York. By the time that he was helping to get the Chapter started in Batavia, questions were growing about whether he was truly a Freemason or not. Because of this, his name was left off the documents for chartering showing him as a founding member of the Royal Arch Chapter. On top of this the members of the local Batavia lodge, where Morgan now was living with his family, denied him admission into the lodge. Morgan was now angry at the fraternity for the disrespect he was feeling from the local Lodge and Masons. He then threatened to write a book called Illustrations of Masonry revealing all of the secrets of the Masonic Degrees. There were three backers of the book, one being David C. Miller a local newspaper publisher who had a grudge against the fraternity. Miller had progressed through the 1st degree of masonry and was prevented from continuing for 20 years, his progression was stopped "due to cause". Records indicate that one or more members of the Batavia lodge objected to his continuing in the fraternity. Miller and the two other backers of Morgan's book entered into a bond with Morgan for $500,000.00. Morgan was offered one quarter of the profits of the book once published. It should be noted that Morgan was about 100 years too late on revealing the ritual of Freemasonry in his book, the first rituals of the Grand Lodge of England were published in the London Times by a reporter shortly after the forming of the Grand Lodge England. At the time there were accusations that unknown individuals tried to burn Miller's newspaper down. Several Masons regularly went to Morgans house and protested that Morgan owed them money and finally Morgan was accused of stealing a shirt and tie and for that was arrested. He was acquitted of stealing the tie, instead he was locked up in debtors prison until a debt of just over $2.00 was repaid. It is here that the details of the story become vague and shrouded. Some accounts have a group of unknown men showing up at the prison, paying his debt and spiriting him into the darkness never to be seen again. Others have Miller arriving to pay his debt and the two men disappearing into the night. One commonality among the stories was that Morgan ended up at Fort Niagara on the Niagara River bordering Canada. Morgan was taken to an unused building at Fort Niagara and after a few days drowned in the river. Some credence was given to this story when a body washed up on the shore of Lake Ontario. The body was initially identified as Morgan, although there were large discrepancies about the appearance of the body that called it into question. It was later identified by Mrs. Sarah Monroe as her husband. The widow Monroe was able to identify various birthmarks and scars on the body before seeing the body. There was also an accusation that Thurlow Reed, a newspaper publisher, had the body altered to better resemble Morgan. As examples, the body that had washed up on shore was bearded and a full head of hair. Morgan had no facial hair and was bald. A similar account claims that Morgan's captors took him across the Niagara River to Canada to ask Canadian Masons to deal with him. The Canadian Masons refused and on the trip back across the river, Morgan was dumped over the side of the boat. Again the above account of the body washing up in Lake Ontario gave fuel to this concept, although the body was clearly not Morgan based on testimonies from the Widow Monroe. The Masons themselves claimed that $500.00 was given to Morgan and he was told to leave the country. There were contemporary reports that Morgan had been spotted in other countries as well as at least one report that he was seen in the southern part of the United States after his alleged murder. Regardless of which story is true, the media at the time ran with the story of murder and secret plots. At the time in the United States Masonry was very popular among politicians and even then there was talk of conspiracies of the Freemasons secretly running the country. For those who were opposed to Masons this was the opportunity that they needed. Three of the men were tried in Batavia for the alleged murder of Morgan. In the initial trial they were all acquitted. This sent a wave of outrage through the country, again claiming that a Masonic Conspiracy had set the men free. It was not helped by the fact that the first judge in the case was himself a Freemason. Due to public outrage across the country, the three men and the sheriff (also a mason) in Batavia were retried. This time the men plead guilty to conspiracy to kidnap Morgan and stuck to their story that Morgan was alive and had merely been encouraged to leave town. The men were convicted of murdering Morgan. Those who opposed Freemasonry, generally now called Anti-Masons, saw this as an opportunity. They would form the first national third party, the Anti-Masonic Party. They would have a Presidential Candidate in the 1828 and 1832 Presidential elections. After the second Presidential election, interest in the party began to wane as other more important national issues were raised, like slavery. 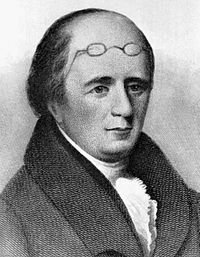 The Anti-Masonic party was quietly absorbed into the Whig party. For Freemasonry in the United States the decades after the Morgan Affair are referred to as a Dark Time for Freemasonry. Public sentiment regarding the fraternity caused many lodges to close or to go "underground" meeting in members homes or not meeting at all to avoid the backlash that had started because of the alleged murder of Morgan. Morgan's widow moved west with a new husband, also significantly older than she was. The couple would become Mormons and some accounts have Morgan's widow becoming one of the plural wives of Joseph Smith, the founder of Mormonism. In fact Morgan himself was given a vicarious baptism into Mormon church in 1841, adding some fuel to a conflict between Mormon's of the time and the masonic fraternity. Dewitt Clinton, the Governor of New York, and a Freemason, during the Morgan affair offered a $1,000 reward for information regarding Morgan's whereabouts. No one ever claimed the reward. Like Freemasonry itself, the idea of the Morgan affair continues to give new fuel to conspiracy theories since there are so few facts available after Morgan's disappearance. No body had ever been positively identified as Morgan's without issues being called into question. On some level, the Morgan Affair was the first pop culture trial ever in the United States, with people eagerly awaiting news out of Batavia to know the next salacious detail of the trial. Often a person's view point on the Morgan affair, including my own, is colored by what the person thinks of the Masonic Fraternity and not what the facts of the case, at least those available, really are.